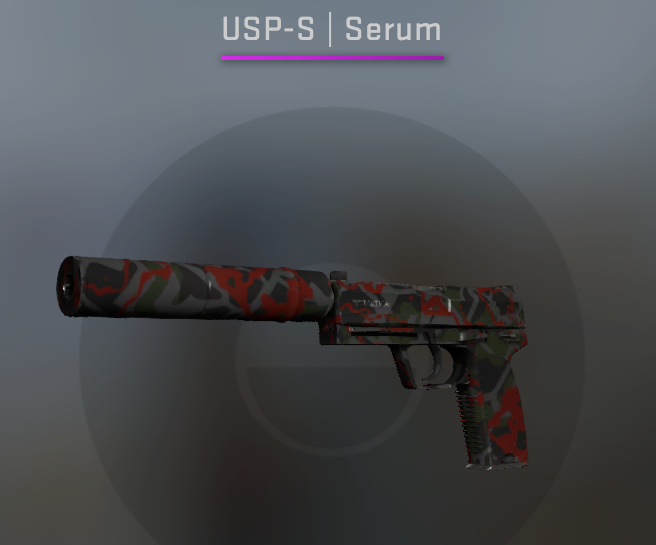 The USP-S has some great skins, ranging from very cheap all the way to the very top range. Here are our 13 best USP-S skins in CS:GO, ranging from the best, cheap skins to the more premium designs at the top of the spectrum. Prices accurate as of October 2018. Vivid pinks emanating from a hollow skull - not the most obvious pairing in the world. Still, we can’t deny the striking effect it arms this skin with. 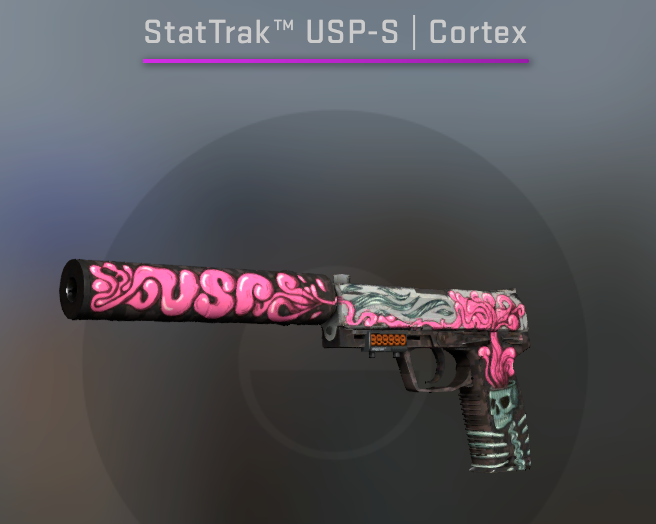 With wisps of color snaking their way along the length of the gun and culminating in the text “USP” on the silencer of the gun, this skin is a really outside-the-box choice for someone to add to their arsenal. 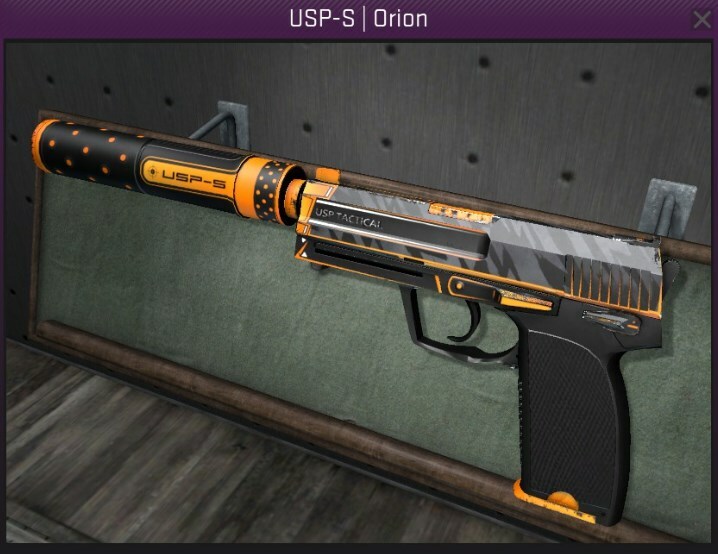 When this skin came out it became the de facto best USP-S skin you could get in CS:GO, having a space-like orange and black contrast that makes it truly stunning. Though some time has elapsed, it still holds a certain prestige in the game. 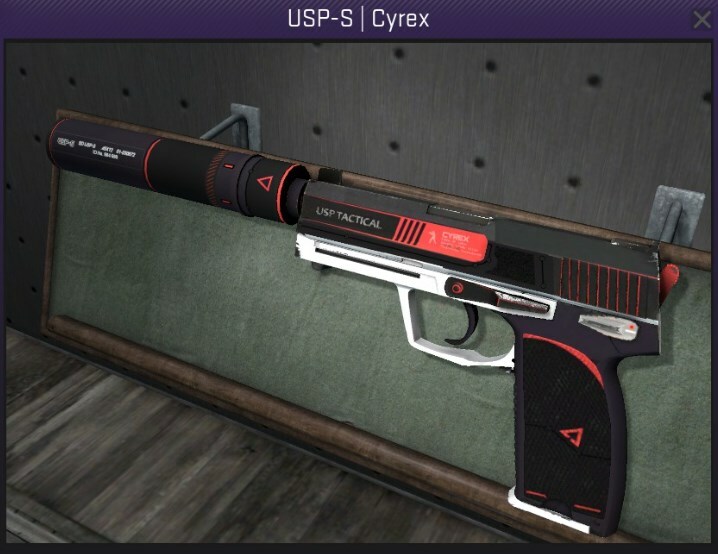 Stealing the gorgeous design of the M4A1-S Cyrex is its twin the USP-S Cyrex, which allows your CT in CS:GO to be fully outfitted in the red, white, and black. 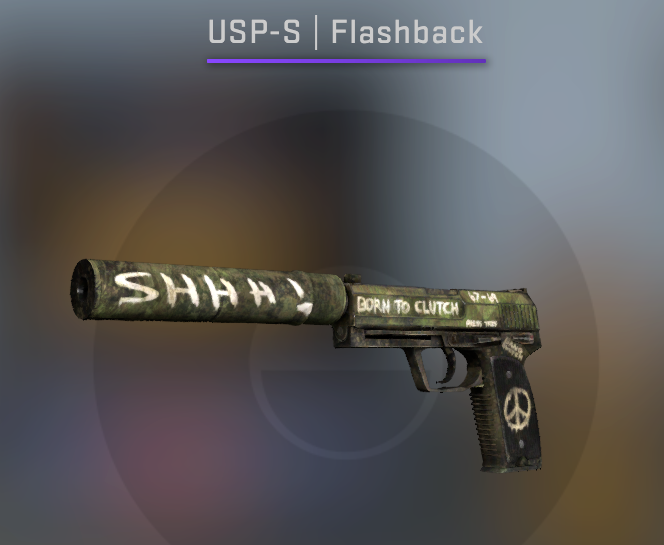 In Factory New this skin looks so good, and is one of the best USP-S skins you can get for those looking to spend under 10 dollars. An overgrowth of passion clearly went into designing this skin, we like to think of it as an elegant, admirable version of the Borreal Forest, for this with a simple but elegant taste in skin. 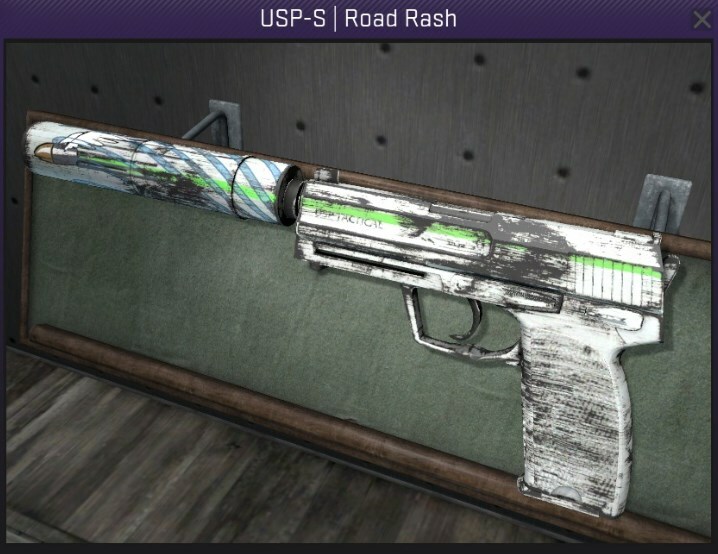 Switching from clean, colorful designs to the rugged Road Rash is as big of a leap as you can make for USP-S skins, but nevertheless the wear and tear of this skin has a certain character. It’s not too cheap, as it’s rather old, but is a good skin for people who want their weapon to be unique from most players. 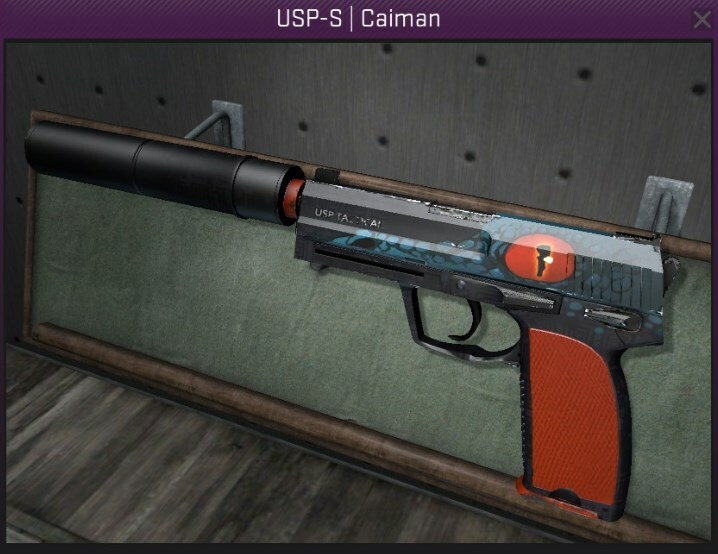 With an eerie eye peering out at you, the USP-S Caiman is a beautiful skin to behold. The orange and the eye on the gun make it stand-out, and is a great addition to any inventory. 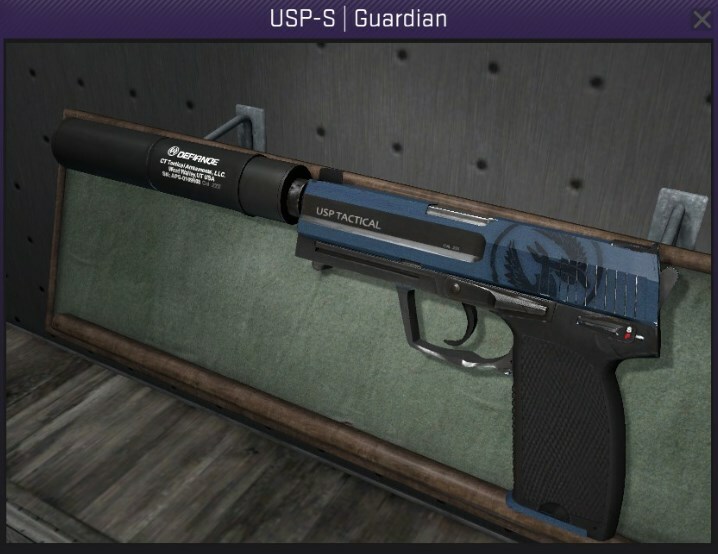 One of the classic USP-S skins in CS:GO is the Guardian, and it’s withstood the test of time and still holds its value in 2018. 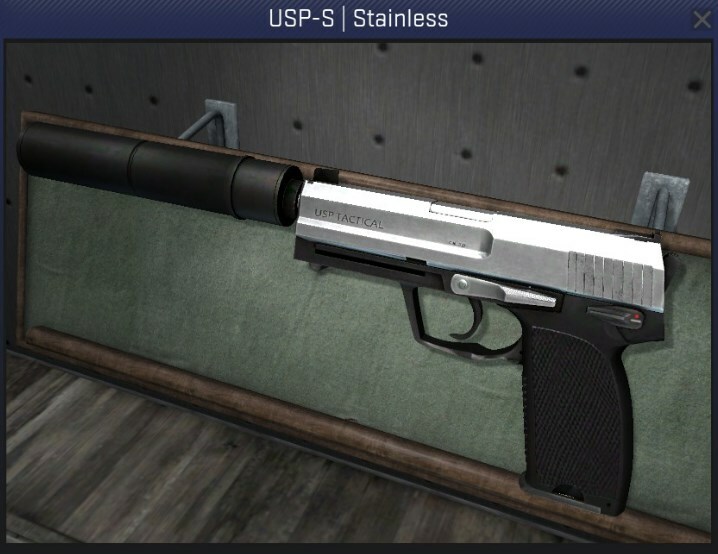 It has a simple but pleasing blue and black color scheme, as well as the CT logo on the weapon, and is a nice mid-range USP-S.
An overlooked skin is the USP-S Stainless, which looks more belonging for a hitman than a T or CT, but looks the business nonetheless. Simplicity at its best is the best way to describe this USP. 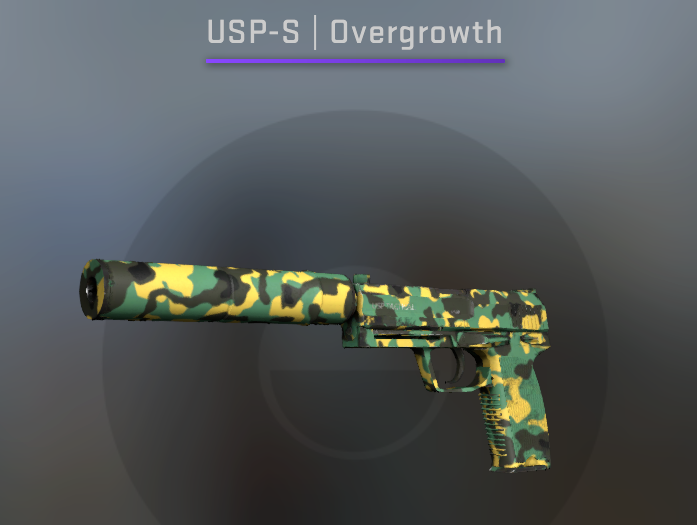 This USP-S really should be put into a category of its own, because it for-sure does not belong with all the other "best" skins. A combination of amazing price and intrinsic design make this one of our favorite skins of all time. The only way you can add to a skin this fine is by being able to count your kills with it, which is exactly what the StatTrak does. Just, don’t rack up hundreds or thousands of kills only to switch out to a P2000! Some skins are subtle. Some aren't. We’ll let you guess which category this falls under. Move in silence with the stealthy USP-S, and let this outlandish and eye-catching skin do your talking. And you can’t go wrong with its price! 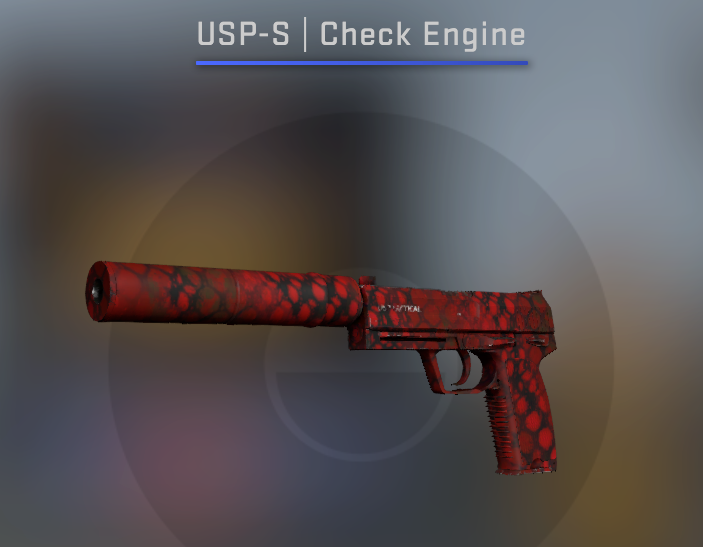 Another sleek looking USP-S skin is the Torque in Minimal Wear. 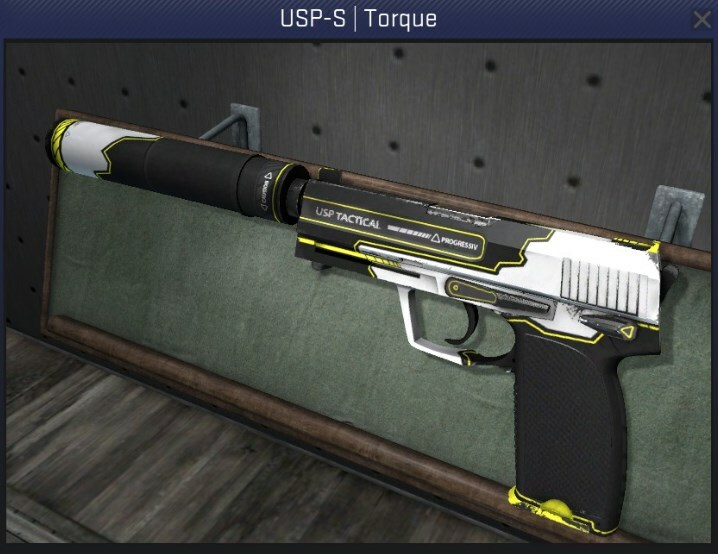 Again you have a good condition skin, and the yellow, black, and white combine nicely on this skin making it one of the best USP-S skins you can find on a budget. “BORN TO CLUTCH”. When you’re charging into a 1v3 in pistol round with that text on your gun, you know it’s on you to flip the advantage of the game back in your team’s favor. And you can’t not love the inclusion of a nice, long shhh on the gun’s silencer. Just, don’t be a monster and remove it. 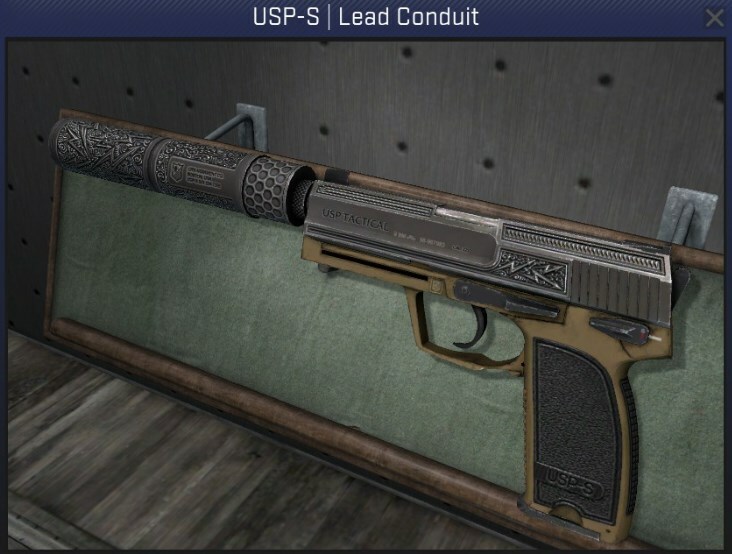 The USP-S Lead Conduit in Minimal Wear keeps a very modest price tag despite being in good condition with a good pattern, making this a great idea for a cheap USP-S skin. 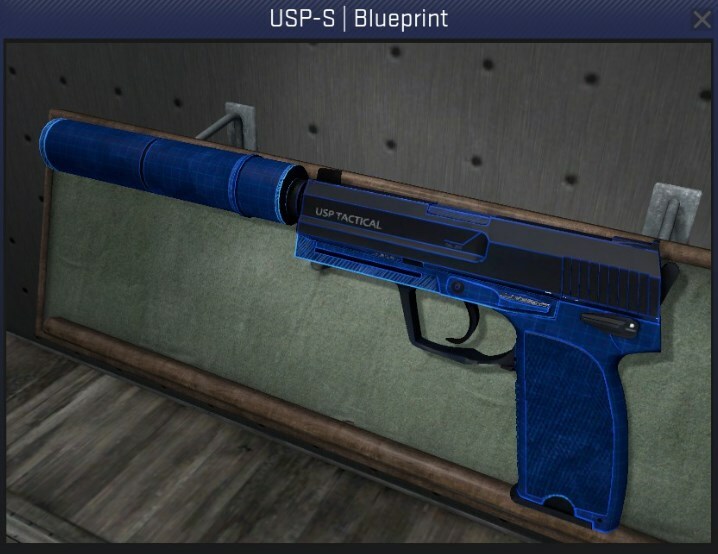 Our personal favorite USP-S skin in terms of value for money is the Blueprint, a fairly new skin that was released in 2017. In good condition, this skin looks captivating with it’s deep blue fading into a darker top of the gun. 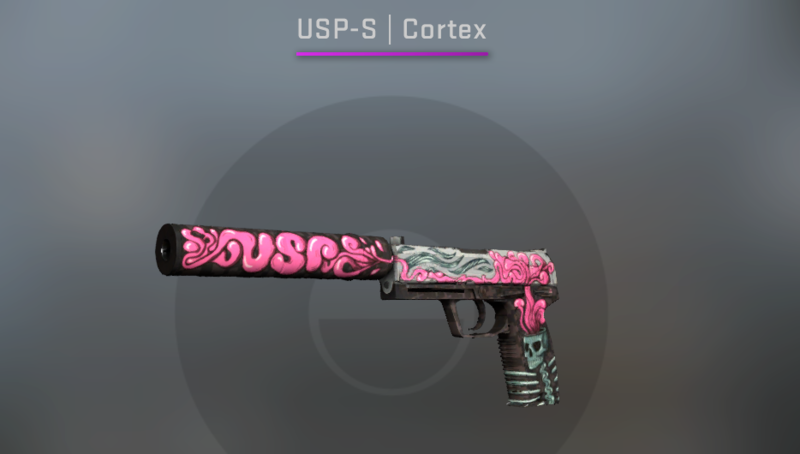 This is a great skin for a low price, making it our personal skin CS:GO has for the USP-S if you’re looking to only spend a dollar or two.